Vatican City, Mar 19, 2019 / 09:25 am (CNA).- French Cardinal Philippe Barbarin will remain the Archbishop of Lyon, the Vatican announced Tuesday. 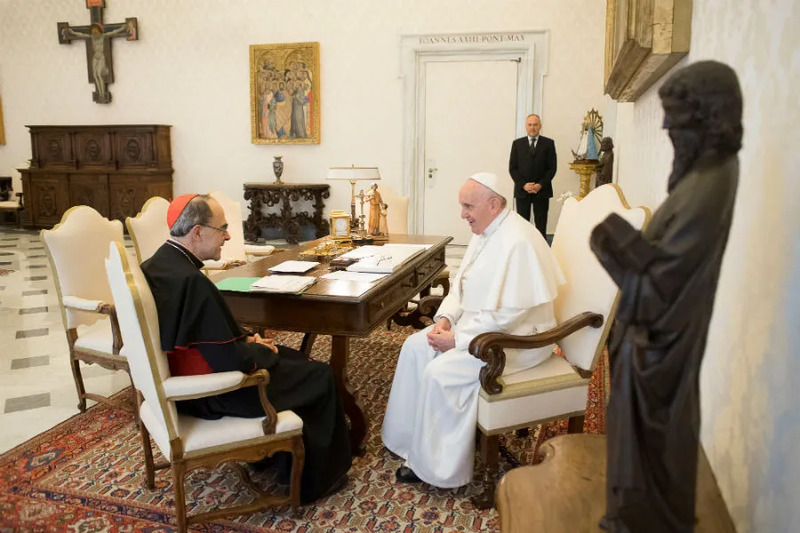 According to a statement released by the Holy See Press Office, Pope Francis has not accepted the cardinal's resignation, though Barbarin has stepped back from the day-to-day leadership of the diocese. Barbarin was convicted by a French tribunal on March 7 on charges of failing to report allegations of sexual abuse committed by a priest of his diocese. He was given a six-month suspended prison sentence and plans to appeal the verdict. According to Gisotti, Barbarin has decided to “retire for a time,” leaving the vicar general of the Archdiocese of Lyon in charge during his absence. “At his suggestion and because the Church of Lyon has been suffering for three years, I decided to retreat for a while and leave the leadership of the diocese to the vicar general moderator, Father Yves Baumgarten,” he said. “The Holy See is keen to reiterate its closeness to the victims of abuse, to the faithful of the Archdiocese of Lyon and of the whole Church of France who are experiencing a particularly painful moment,” Gisotti’s statement concluded. French tribunal president Brigitte Vernay declared Barbarin guilty March 7 “of non-denunciation of ill-treatment” of a minor, according to AFP.